Description: While doing undercover work in a mental hospital, Emanuelle discovers a girl who seems to have been raised by a tribe of amazonian cannibals. 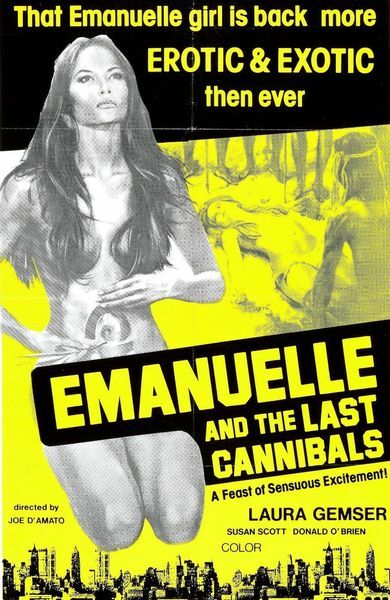 Intrigued, Emanuelle and friends travel deep into the Amazon jungle, where they find that the supposedly extinct tribe of cannibals is still very much alive, and Emanuelle and her party are not welcome visitors. Tagged 1970s, Emmanuelle, English, Exploitation, France, High Definition, Joe D'Amato. Bookmark the permalink.